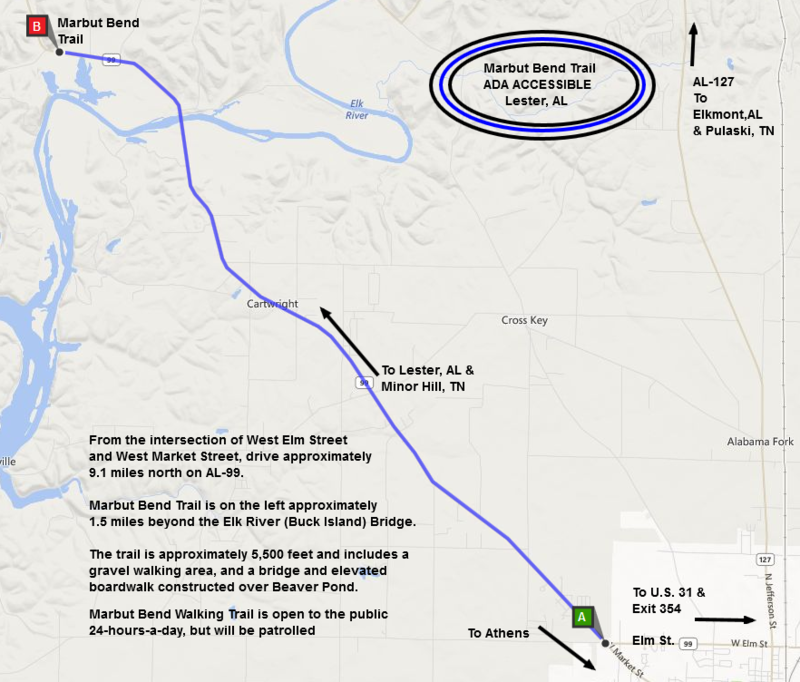 Marbut's Bend Accessible Trail is a cooperative project between the Tennessee Valley Authority and the Limestone County Commission. 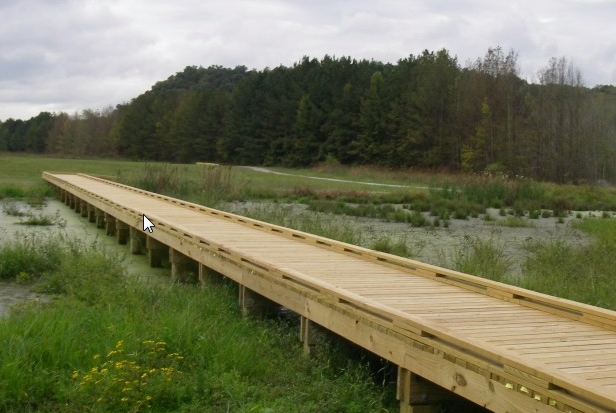 The park was purposefully created to be accessible featuring compacted crush walkways and wooden bridges. Adventures will cross over the beaver pond, hear the songs of tree frogs and songbirds, and can even wander down to the Elk River. Note: Coming from Athens on Alabama 99 - entrance on the left past the 3rd Elk River Bridge before curve.